3D Realms, still plugging away at the slightly delayed Duke Nukem Forever, may have given up the ghost, as the Texas-based developer is rumored to have shut down. 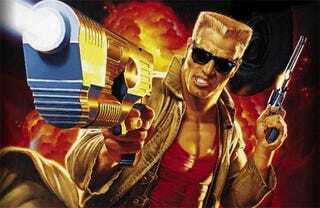 We heard from an anonymous tipster earlier today of 3D Realms demise, with Shacknews reporting the very same thing, citing a "very reliable source" close to the Duke Nukem dev. According to 3D Realms co-founder George Broussard, the game was "closing out a milestone this week" as of mid-April, but little progress had been publicized outside of video and screen shot teasers from last Summer. First announced in April 1997, Duke Nukem Forever has been ridiculed for its extended development schedule, with 3D Realms employees sticking to a "When it's done" release date. But Broussard hinted earlier this year that the game was getting closer to finally shipping, writing on his Twitter account "Game developers often say 'Cutting is shipping'. We begin this year with a vengeance and a chainsaw." The game appeared to at least be making some sort of tangible progress, with 3D Realms releasing game screenshots and artwork from Duke Nukem Forever. We've reached out to staffers at 3D Realms for clarification. Update 1: Take-Two has responded, adding a little clarity to the situation, but not solid confirmation. "It is the Company's policy to not comment on its contractual relationships, nor do we comment on rumors and speculation. That said, we can confirm that our relationship with 3D Realms for Duke Nukem Forever was a publishing arrangement, which did not include ongoing funds for development of the title. In addition, Take-Two continues to retain the publishing rights to Duke Nukem Forever. "‪ - Alan Lewis, Vice President of Corporate Communications & Public Affairs for Take-Two. While 3D Realms may be finished, Duke Nukem Forever may not. Well, we know it's not finished, but it's not done. Okay, it's not done either, or else it would be out.... look, the game's not dead, OK? Not officially anyway. Take-Two may hand off development to another studio, one a little speedier than 3D Realms. Update 2: 3D Realms webmaster Joe Siegler has, posting on the company's forums, seemingly confirmed the closure, saying "It's not a marketing thing. It's true. I have nothing further to say at this time."